Recipes for casseroles are popular because the cooking takes the minimum of time, and make them easy of the products that always have on hand. But cheesecake is in demand also because adults nowadays people want to feel again the taste of childhood, Yes, you can enjoy a lush, drenched in sweet syrup Goodies. - half a teaspoon of salt. Cooking cheese casserole, start with soaking the semolina. Pour it in a bowl and pour the milk. Stir and leave for 15 minutes for swelling of cereals. Next, take another bowl in it break the eggs, salt, add vanilla sugar and sugar. Eggs whipped to fluffy homogeneous foam with a mixer. In whipped mass carefully enter the pre-softened butter and lightly mix everything. 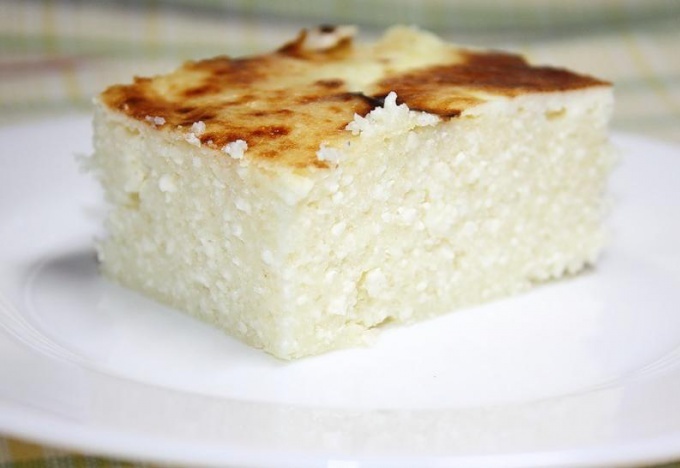 The curd is kneaded by any comfortable for you method: by rubbing through a sieve, simple rubbing with a fork, or even by passing through a meat grinder. In hot water wash the raisins, you can even hold it some time for swelling. Now the time has come to combine both mixture, semolina and egg. Then gently knead, turning into one. The resulting mixture was introduced grated cheese, stir. You can mix with a mixer. Add the raisins and stir again. The dough for the cheese casserole are prepared. Prepare the oven: it warmed up to 180-200 degrees. Meanwhile, grease a baking dish with butter and sprinkle semolina. Put into the form "dough" for casseroles, put it on the middle shelf of the heated oven. Bake about 40 minutes until our cheese pie "in the garden" is covered with a beautiful browned crust. To cheesecake turned out fluffy, do not open the oven door during the cooking process. And even when the dish is ready, it makes sense to put it in the oven (off of course) for 15-20 minutes. 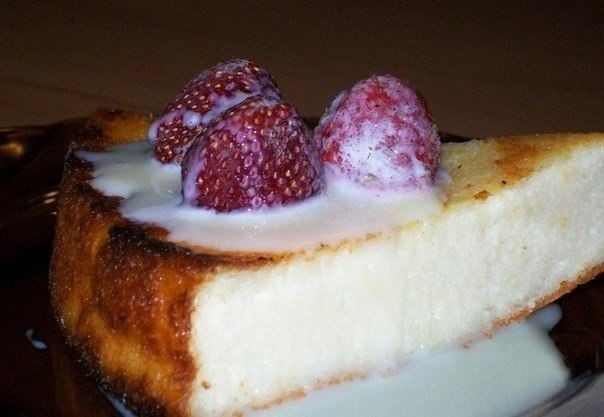 To serve cheesecake, as in kindergarten need with your favorite gravy, for some it will be sour, for some fruit syrup or berry jam. Everyone must have remembered the casserole that we were given in kindergarten. Having tried a lot of recipes, I've highlighted the one. And share with you. - butter - 50 grams. In a bowl put the cottage cheese. In curd add eggs and sugar. All mix well to obtain a homogeneous mass. Then add to the resulting mass of butter and again, give everything a good stir. Add semolina and stir again. Then gently pour in milk, stir. Protiven lubricated with oil and sprinkle on top of semolina grains. Pour our mass on a baking tray, even out and place into a preheated oven. The finished casserole until Golden brown, about 40 minutes. After cooling casseroles, it may settle a little.